Passionate about enriching the intimacy in our customers lives. Your secrets are safe with us. Established in 2006 Exotic Adult Superstore offers the largest selection of adult novelties, lingerie, tobacco accessories and erotica in North Houston. We offer a clean, well-lit and friendly environment that is welcome to couples, singles and everybody else. Our showroom of 5,600 sq ft includes the most popular and recently released items for your shopping pleasure. Exotic Adult Superstore is conveniently located by the George Bush/IAH Airport right off of the beltway 8 and I-69/Highway 59. 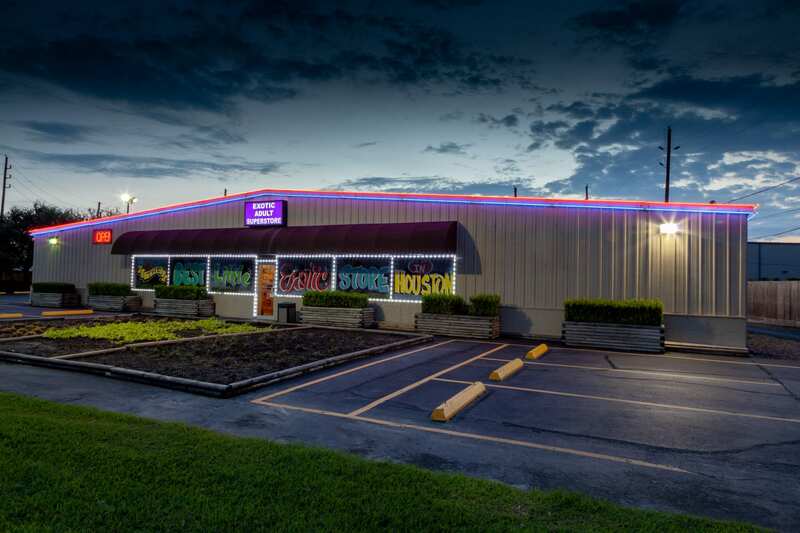 Established in 2006, Exotic Adult Superstore offers the largest selection of adult novelties, lingerie, tobacco accessories and erotica in North Houston. We offer a clean, well-lit and friendly environment that is welcome to couples, singles and everybody else. Our showroom of 5,600 sq ft includes the most popular and recently released items for your shopping pleasure. Exotic Adult Superstore is conveniently located by the George BushliAH Airport right off of Beltway 8 and 1-69/Highway 59.